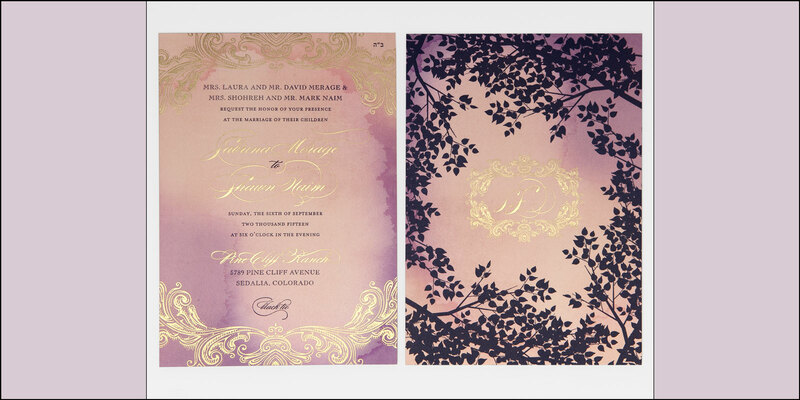 This non-traditional invitation suite is characterized by the original watercolor artwork used throughout. 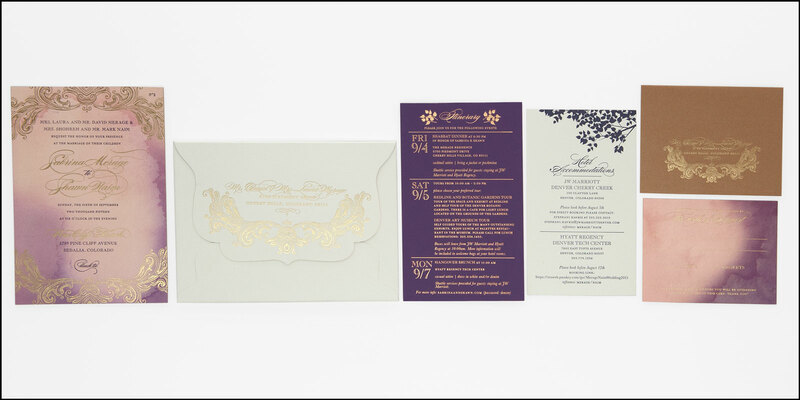 The digitally printed watercolor design is further embellished with purple letterpress and satin gold foil. The edges are gilded in gold foil to match. 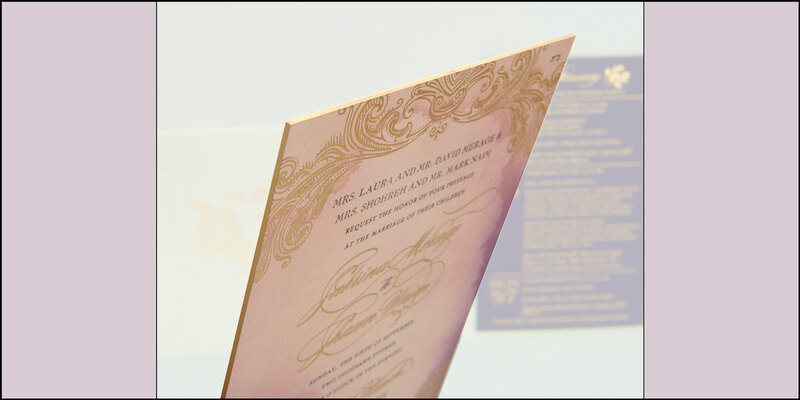 The custom box envelope is perfect to accommodate the extra thickness of the invitation. 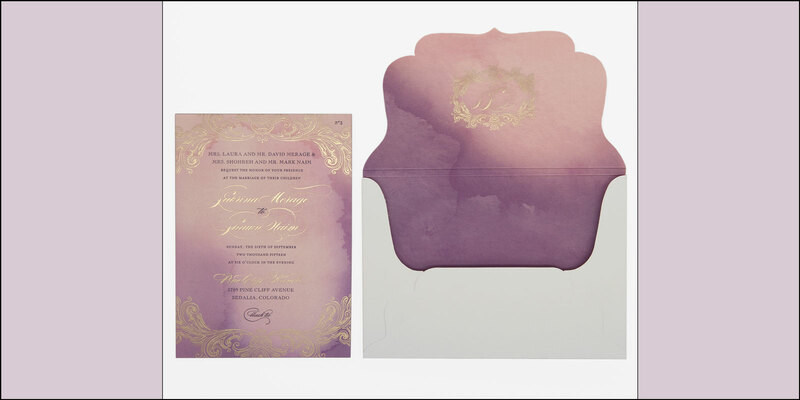 The box is also foil stamped with the watercolor design on the entire inside of the envelope for added effect. Extra heavyweight high quality card stock with digitally printed watercolor design. 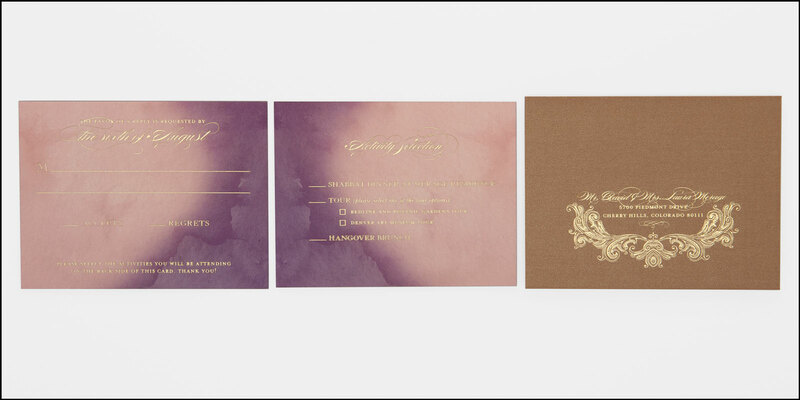 Heavyweight high quality card stock with digitally printed watercolor design.